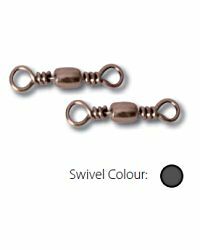 Top quality black barrel swivels from Tsunami Pro. Durable, heavy duty construction and top quality and reliability. Perfect for fixing a fluorocarbon leader to a braid main line. Stops the line from twisting which would lead to tangles.